Karren Brady began her career at Saatchi & Saatchi when she was 18 years old and swiftly moved on to London Broadcasting Company as a sales executive. She joined Sport Newspapers Ltd in 1988 and became Director within a year. 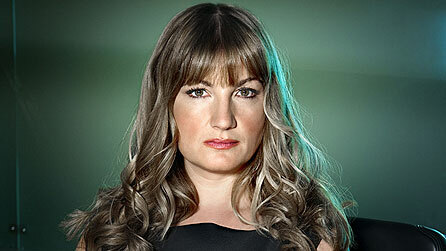 Karren is known as the first woman of football. She was Managing Director of Birmingham City Football Club from 1993 to 2009 and during that time turned the Club’s fortunes around. She took over Birmingham City FC when it was in administration, and in her first year at the helm, the club recorded a financial trading profit. In January 2010, Karren was appointed Vice Chairman of West Ham United FC. Karren has attracted much media attention in her career, and was the subject of an hour-long documentary, Inside Story – The Real Life Manageress shown on BBC One. She has hosted her own TV show, and has also presented shows on ITV. Karren has written four books and her autobiography, Strong Woman: Ambition, Grit And A Great Pair Of Heels, was released in March 2012. In March 2006, she was chosen as the Project Manager of the girls team on BBC One’s The Apprentice, for Comic Relief, where she led her team to a resounding victory over the boys, raising over £750k for charity.